Having the right dog harness can really help senior dogs dealing with the pain and limitations from arthritis. Especially for larger breeds with limited mobility, where you can't lift them yourself, a well-designed support harness is an excellent option to assist your canine companion to get around. A specially designed dog harness helps to take the weight off a senior dog's afflicted limbs and make it easier for you to help them move around. Harnesses for arthritic dogs are made with different configurations and designs but all work basically the same way. A sling or leash is placed under the dog's body where they are weakest. Handles or a leash come out around the sides and above the dog for you to hold. Your dog can then move around while you "steer" with the handles and help support his weight as he moves. In addition to helping your dog, an arthritic dog harness can help a smaller person assist a larger dog without hurting their back or causing other physical problems. A rear support harness fits around the dog's back hip area and helps dogs with arthritis in their hips and hind legs. They're also useful for dogs suffering from hip dysplasia or recovering from orthopedic surgery. Using a quality rear support harness, a person without a lot of upper body strength can help even a large breed go outside to eliminate, get in and out of rooms, up or down stairs, and even up onto a ramp and into a car. Because dogs come in many shapes and sizes, you may have to try a few brands before you find one that works well with your dog. You also want to make sure that the material of the harness is strong enough. A popular brand of rear support harness is GingerLead. The company's Dog Support and Rehabilitation Harness is a good choice for larger dogs. It has a wide support band made of strong material, and the handle has a padded grip. It's also easy to put on as you just slide it under the dog and pull the handles around. Its design accommodates either a regular collar and leash on your dog or a front-clip harness to make steering a large, strong dog easier. Another type of harness that is easy to put on is the Labra K9 Sling Lift. It comes in sizes for dogs from 20 to 100 pounds or more. The straps are adjustable to accommodate different handler heights and the heavy duty sling is padded with fleece to make your dog more comfortable. Because the sling is also wider than the GingerLead, it can help support both the rear and middle area of the dog's body. A front support harness fits around the dog's front chest or belly area. It helps dogs with arthritis in their front legs, as well as dogs with other physical ailments. As with the rear support harness, you'll have to shop around to find one that fits your dog best, particularly if you have a broad-chested dog. Because this fits toward the front of the dog, you should also make sure the leash or handle attachments work ergonomically with your body. If you're used to walking near the dog's back end, you don't want a handle that causes you to lean forward at an angle and put your back at risk. Some of these harnesses are designed more for lifting your dog than actual walking. The Walkabout Front End Harness comes in sizes for every type of dog including small and toy breeds. The manufacturer can also make adjustments if your dog happens to be a front leg amputee as well. Measuring for the harness is simple, and the design is made for owners to take the harness on and off with ease. It also comes with several handle lengths to make walking comfortable for you and prevent back injury. 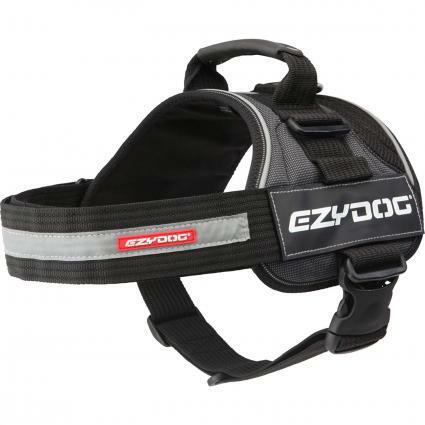 Another design for front end support is the EzyDog Convert Harness. The design is simple and streamlined and looks almost like a regular, everyday harness. The harness is adjustable to fit all body shapes and comes in sizes for toy through giant breed dogs. It does not come with a leash, however. There is a heavy-duty handle on the top that you can grip to a lift a dog to its feet. If you want the harness for walking as well as lifting, you'll need to purchase your own leash. HandicappedPets makes a Front Lift Combo Harness that can be used for lifting and walking. You will also need to purchase your own leash for this one, but the design provides more support on the front and chest area for dogs with front mobility issues. You can also combine this harness with a harness on the dog's rear end if you need to provide full body support. Some dogs unfortunately suffer from arthritis on both ends and need more comprehensive support. Like both the separate front and rear harnesses, you'll need to be concerned with fit and material strength when choosing a full body harness. It's also more difficult to find the perfect fit for both ends of the dog. 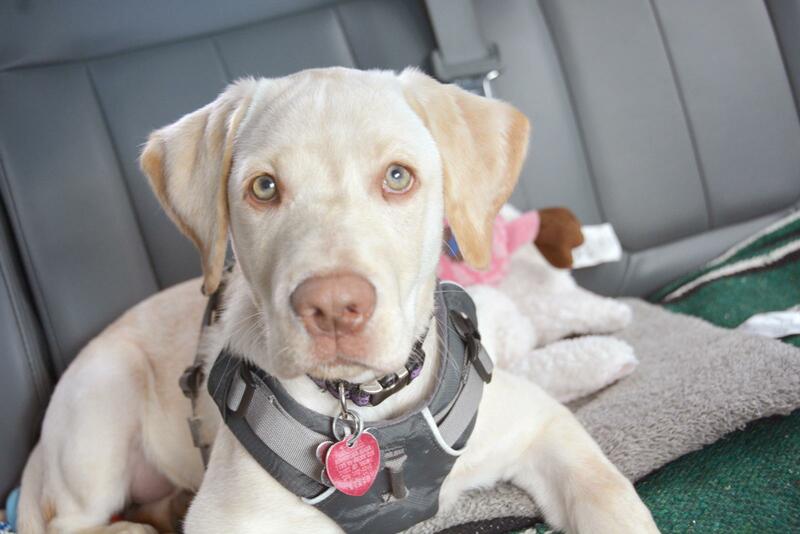 One option you may be able to employ, depending on your dog, is combining separate rear and front harnesses from different manufacturers if one fits better than the other for the front and back. You also want to be sure these work for your body, even more so than the other harnesses, as you will be moving more of the dog's weight up and the handles should work for your body size and strength level. Walkabout Harness has a Front and Back End Harness combination. Each is fit onto the dog as a separate piece and you'll need to measure both areas to get the right fit. The company will also assist you with sizing and add a suspender piece to attach the front and back harnesses on request. It also comes with different handle lengths to make sure you are using proper form when helping your dog. The Help 'Em Up Dog Harness has a different design that involves less fabric than the Walkabout. There are sizes available for dogs from 8 to 220 pounds. The harness also comes in two different fits for male dogs so they can urinate while wearing the harness. If you're unsure about fit, the website provides several videos and sizing guides. The harness has a handle built into the design to aid in lifting the dog; if you want to use it for walking, you'll need to purchase the leash separately. The company provides several leash and handle designs to increase your chances of finding one that fits both you and your dog's physique best. Before you decide to try a dog harness for arthritis or any other supportive device, check with your veterinarian to make sure it's appropriate for your dog's current condition. With the proper fit for you and your senior dog, you can soon help him move about your home and easy gentle walks to enjoy his golden years.